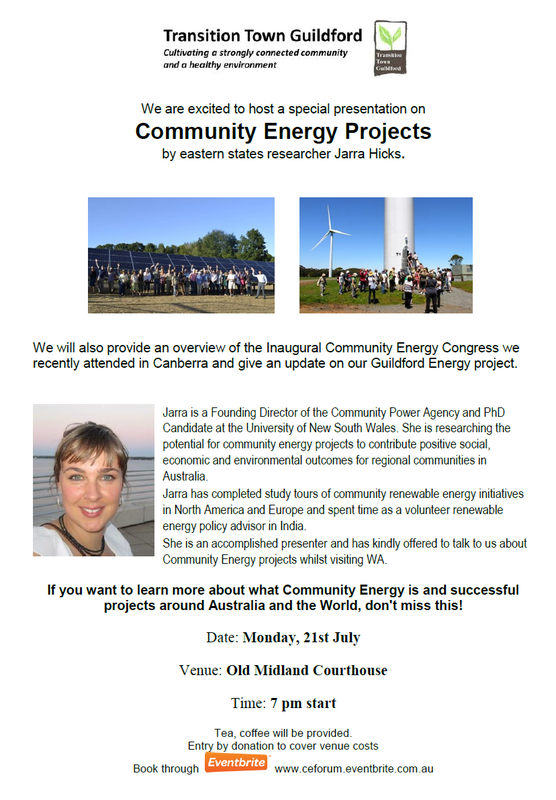 Transition Town Guildford are excited to host a special presentation on Community Energy projects by eastern states researcher Jarra Hicks. Jarra is a Founding Director of the Community Power Agency and PhD Candidate at the University of New South Wales. She is researching the potential for community energy projects to contribute positive social, economic and environmental outcomes for regional communities in Australia. 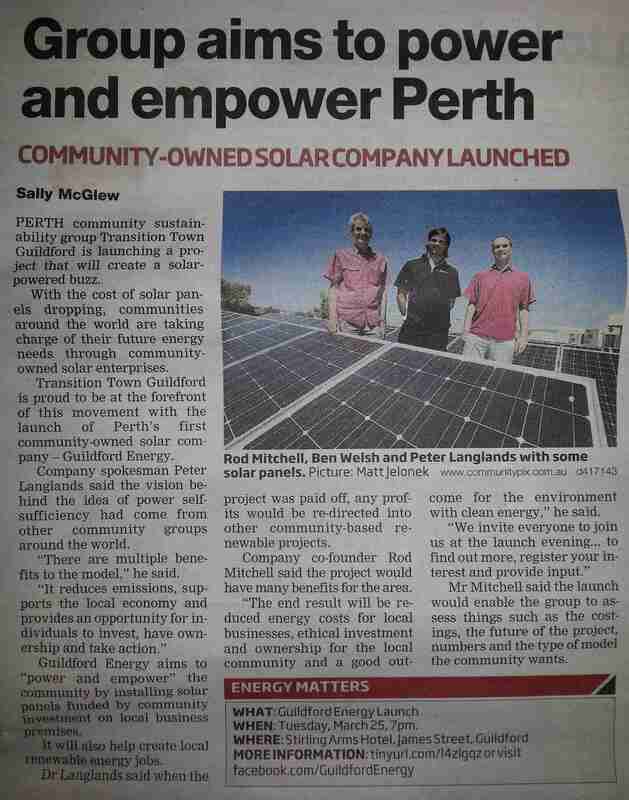 Jarra is visiting Perth and has kindly offered to talk to us about Community Energy projects. We will also provide an overview of the Inaugural Community Energy Congress we recently attended in Canberra and an update on our Guildford Energy project. 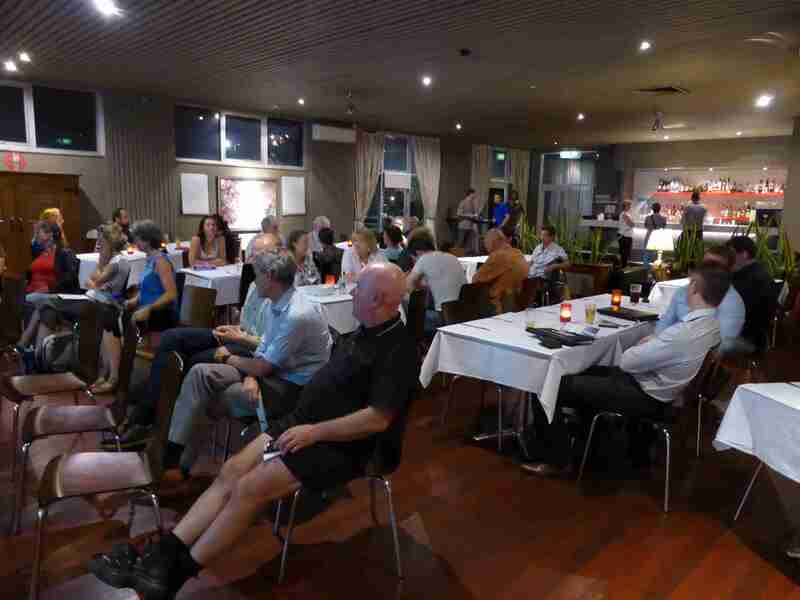 If you want to learn more about what Community Energy is and successful projects around Australia and the World, don’t miss this! Tea, coffee will be provided. Jarra has a professional background in community development, campaigning and renewable energy. She completed an Honours research project at the Uni NSW in 2009 focussing on grassroots renewable energy projects as effective responses to climate change using innovative economic practices. Her current research, as a PhD Candidate at Uni NSW, focusses on community engagement, social enterprise models and diverse economic arrangements that community energy projects use. 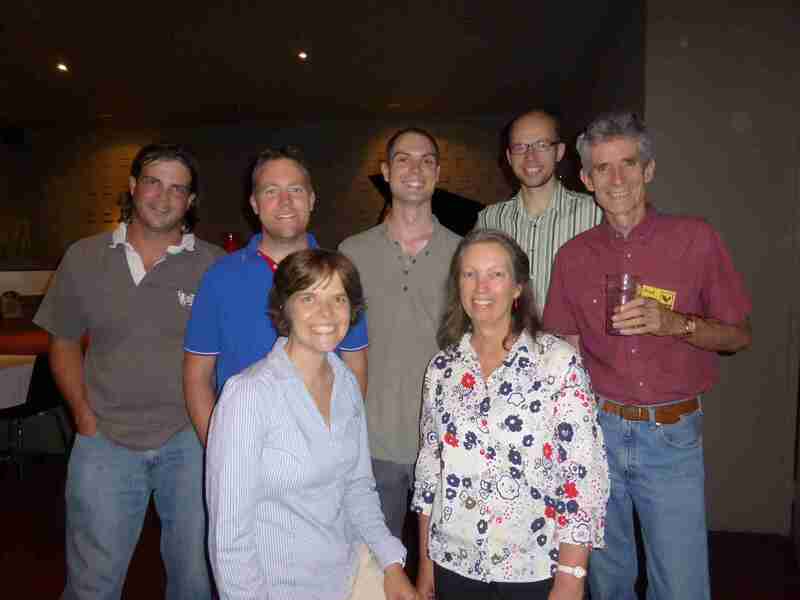 In 2010 and again in 2012 Jarra completed study tours of community renewable energy initiatives in North America and Europe and spent time as a volunteer renewable energy policy advisor in Delhi, India. Jarra is a co-founder and Director of the Community Power Agency, motivated by the power that everyday people are engaging to make real contributions to the sustainability of their communities. Her other life passions involve riding bicycles, growing food gardens, making ceramics and dancing. 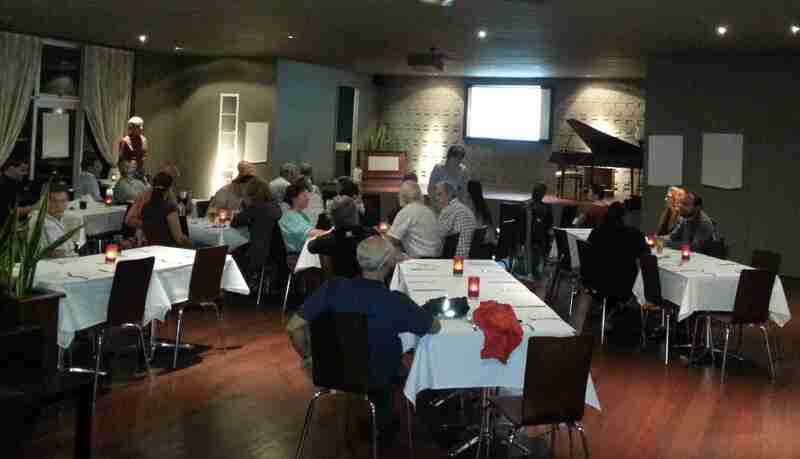 On Tuesday night, 45 people met at the Stirling Arms Hotel to hear about Guildford Energy and discuss the project. Co-founder Rod Mitchell outlined similar very successful projects around the world (e.g. Brixton Energy) and several currently starting in Eastern Australia (e.g. Solar Share Canberra) . Dr Bernhard Mitchell then outlined the recent dramatic cost reductions in solar photovoltaics (PV) and the many reasons why solar is the way to go. The final presentation was by Dr Emily Mitchell who ran through the initial model for Guildford Energy in more detail (outlined below). 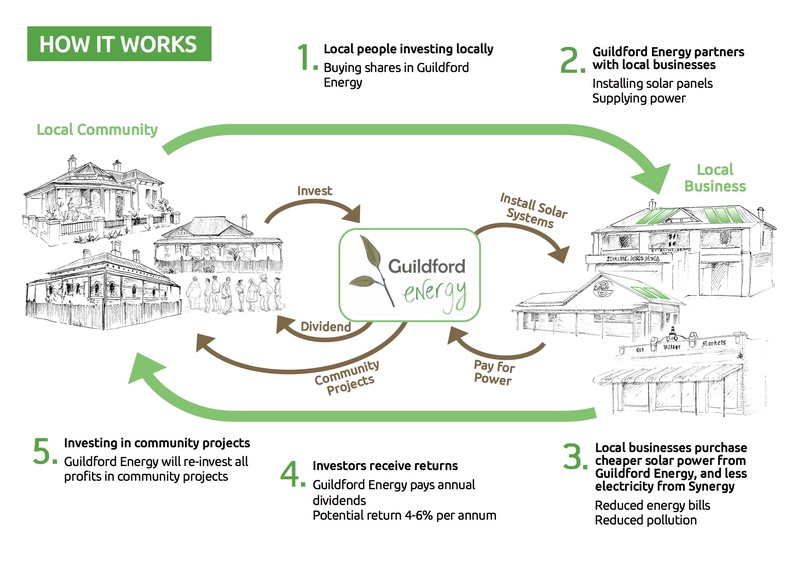 Initial proposed model for Guildford Energy. Finally, the most important part of the evening was to hear what everyone in the community thought! There were lots of questions, queries and clarification from the audience and the night finished with a co-design session in which people answered 10 questions on what they think about the project and see as the potential challenges and benefits. All these responses collected on post-it notes will be collated and we look forward to presenting the results at out next public meeting in a month or two. In the meantime, if you’d like to stay up to date and register your interest, please join our Mailing List and Like the Guildford Energy Facebook page.